At SelectDFW, our priority is YOU, with over 30 years industry experience you can trust us with your livery needs. 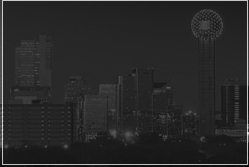 We are the #1 Plano Car Service providing only the highest quality up to date transportation. Plano LIMO Service Rates: Our pricing options are among the lowest compared to other top companies found online. Check out our instant rate tool, just enter ZIP CODE and Aiport or Hourly for instant base rates! At Plano Limo Services, our staff, right from the customer service executives you make your bookings with to your chauffeurs who will drive you, will treat you with extreme caution and care. You are important to us; therefore, we do not wish to give you a single moment of disappointment. Our staff is extremely courteous and you will be pleased with the professional level of service we offer you. Plano Limo Rental is quite a reasonable deal. Affording our services is easy because we keep our prices pocket-friendly. And, you will not have to worry about value for money, because, when you hire Plano Limo Service, we do our best to give you every penny's worth and that's a guarantee.